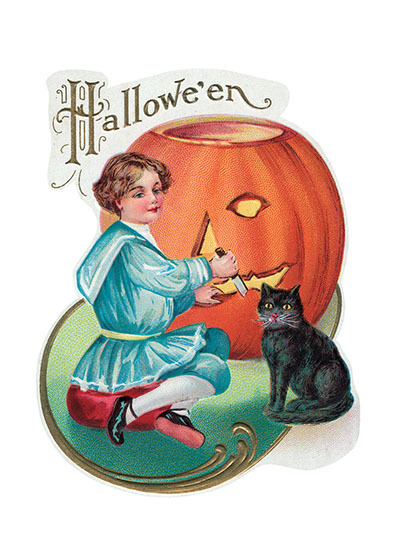 This boy in his antique costume has a might big pumpkin to carve into a Jack-O-Lantern. This boy in his antique costume has a might big pumpkin to carve into a Jack-O-Lantern. Maybe his black cat has helped.